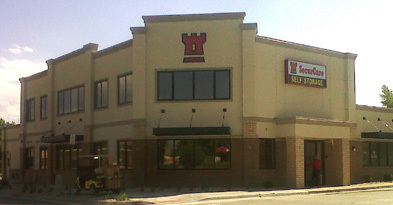 Saddle Rock Self Storage Completed in May of 2012 is a 10 building state of the art storage facility. The facility consists of 400 units both standard and climate controlled. Each unit is alarmed and the site has 16 HD security cameras as well as a security Guard shack and Gated Entry. You can rent a unit 24hrs a day with the self-storage kiosk. The property has been extremely successful and is at near capacity in only one year. (Fairplay, Colorado) - September 10, 2010 - On September 7, 2010 NCB, LLC completed The Colorado Department of Transportation (CDOT) 135-foot long, 10-foot wide Pedestrian Bridge over the Middle Fork of the South Platte River. A 2000 foot asphalt and concrete path accommodating pedestrians and bikes ties into the existing sidewalk on US HWY 9 and continues to the intersection of US HWY 285 and HWY 9 continuing south on HWY 285 to the pedestrian bridge. The trail and bridge connects the downtown part of Fairplay with the residential area south of downtown. Associated road improvements also consisted of new curb and gutter, drainage improvements and handicap ramps along Main Street. This project was primarily funded by the American Recovery and Reinvestment Act (ARRA). "NCB was honored to have been contracted by CDOT to construct this bridge and path for Fairplay. We hope the Town enjoys these new additions to your beautiful city." Todd Nordstrom, NCB, LLC Managing Member. 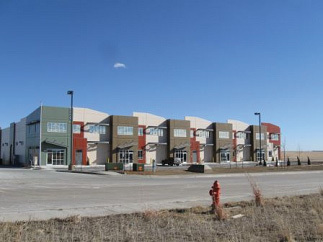 SecurCare Self Storage at Willow Run in Broomfield, Colorado receives its certificate of occupancy on all 9 buildings totaling 54,000 square feet. This 9 building state-of-the-art storage facility includes an office and manager's apartment, 24 Hour security monitoring, climate controlled units, on-site managers, drive up access, electronic gate access, and individually alarmed units. NCB's continued relationship with SecurCare is what we treasure the most. This is NCB's sixth successful completed project for SecurCare which includes facility expansions, demolitions, upgrades and new construction.